A twist on the everyday classic to wow even the most conservative! Beaded bracelet features 6mm Swarovksi crystal pink faux pearls. 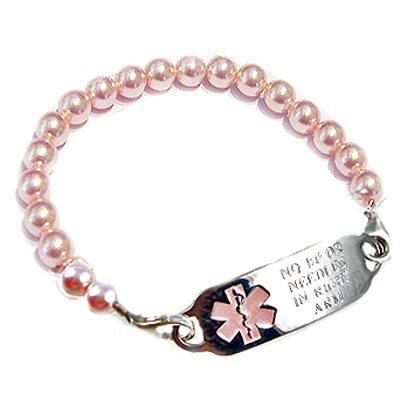 Includes beaded strand and Deluxe Stainless Steel Medical ID tag or upgrade to Sterling Silver for an additional charge.